Spring is here! Truly and finally, the time of year we’ve all been missing is back in action. In your garden and ours, here at Blithewold Mansion, Gardens & Arboretum, this is a time of transition. We set the stage for that transition last fall by leaving much of our gardens in place during the colder months to provide habitat for pollinators: that is, we do not cut back and rake out the gardens until early spring. This also acts as cover for marginally hardy plants that would otherwise be shocked by the constant freeze–thaw–freeze of a New England winter. We recommend that you begin to cut back perennials that have been left up for the winter. Now is also the time to plant spring annuals such as pansies and violas and cool-weather vegetables like lettuce and kale. 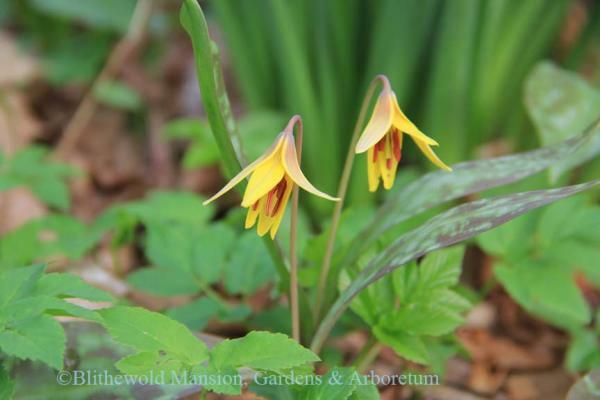 And it’s also a good time to think ahead and place orders for summer bulbs. Many New Englanders welcome spring each year by passing through the gate at Blithewold. They are greeted by trees in bloom throughout the arboretum, from cherries to magnolias to the unusual dove tree. 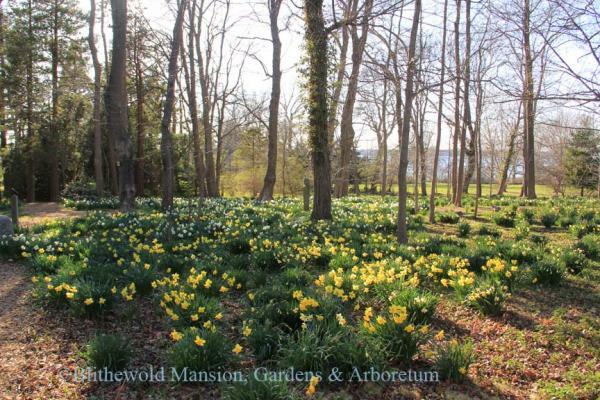 And the sight of Blithewold’s 50,000-plus daffodils (we think it may actually be double that number, but who’s counting!) makes it easy to miss the ephemeral wild flowers that pop up along the paths during April and May. Don’t miss the chance to wander through the daffodils in the quiet glow of a spring evening. Daffodils at Dusk takes place Fridays, April 13, 20, 27, 6 ̶ 8 p.m. Some of our springtime Garden Lectures include Native Plants for New England Gardens (April 9, 10 a.m.) and Extending the Season (April 23, 10 a.m.). Register early — we often sell out! Make your reservations now for our ever-popular Afternoon Teas in the Dining Room, held Tuesdays–Fridays (April 10 ̶ May 4). Enjoy all the beauty spring has to offer and come see us at Blithewold in Bristol, RI, the gateway to spring. Betsy Ekholm received her bachelor's degree in English from Gordon College and worked at Pearson Custom Publishing until her love of plants stole her away from the publishing world. She has been working in gardens since her youth, always admiring and caring for plants whenever she could. Ekholm worked at Tranquil Lake Nursery for seven years and took the URI Master Gardener course during that time. 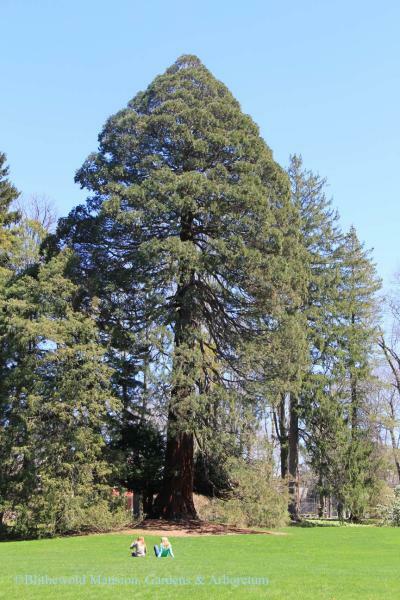 She then followed her love of plants to Boston, where she interned at the Arnold Arboretum. From there, Ekholm moved on to Schartner Farms, growing perennials and annuals. In 2013, her love of gardening drew her to Blithewold, where she began as an intern. She is now a Rhode Island Certified Horticulturist and on staff full time.